When the weather gets warm, there is one thing you can count on: construction. Construction workers hit the roads in the spring and summer to make needed improvements and repairs to private and commercial properties, as well as to improve infrastructure in Boston and throughout the United States. Construction work on government roads, private buildings and commercial establishments and the amount of work being done significantly increases right along with the temperature. Our Boston construction accident lawyers know that these workers put their lives at risk on a daily basis. Roadside construction sites are dangerous, as are any construction zones. Several accidents have already occurred this year, leaving construction workers dead with grieving family members left behind. In light of these accidents, it is very important for construction workers and for employers to take a few minutes to think about the risks of construction work and about the ways to minimize those risks. Construction accidents happen every day. In fact, just recently, the Boston Herald reported that a Connecticut worker was killed when working on a Massachusetts Transportation Department facility located in North Hampton. The victim who was killed was a 56-year-old man. He became pinned in between two modular office units that he and other workers were in the process of constructing. The temporary buildings were being put together when one of the units shifted, pinning the victim. Tragically, the man who was killed left behind a wife and three children. One other worker was also injured due to the building shift and was taken to the hospital with minor injuries. 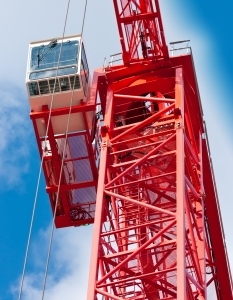 This accident occurred within days of a Boston construction worker losing his life in a New York accident. In that case, WCVB reported that the Boston worker was working on a construction site in upstate New York. He became pinned under a 40-foot-pipe that dislodged as it was being unloaded from a flatbed tractor-trailer. The pipe weight 1,7000 pounds and crushed the 24-year-old worker who had been guiding the pipe using a guide rope as it was lifted by a steel-cabled excavator. Both of these tragic accidents involved a loss of life due to workers being crushed. Unfortunately, crushing accidents are not the only ones likely to occur in work zones as more people complete construction trough the warmer summer weather. Ultimately, the only way that any worker will be safer from being crushed or otherwise injured will be to ensure that working conditions are as safe as possible. The Occupational Safety and Health Administration (OSHA) conducts periodic inspections of worksites. Unfortunately, OSHA cannot be everywhere all the time and employers need to step up and do the right thing. Providing appropriate safety gear; ensuring workers are adequately trained; and complying with all OSHA regulations can help to save lives. Massachusetts car accidents injuries trooper; Move Over law aims to protect crews from work accidents in Boston, Boston Car Accident Lawyer, January 4, 2011.